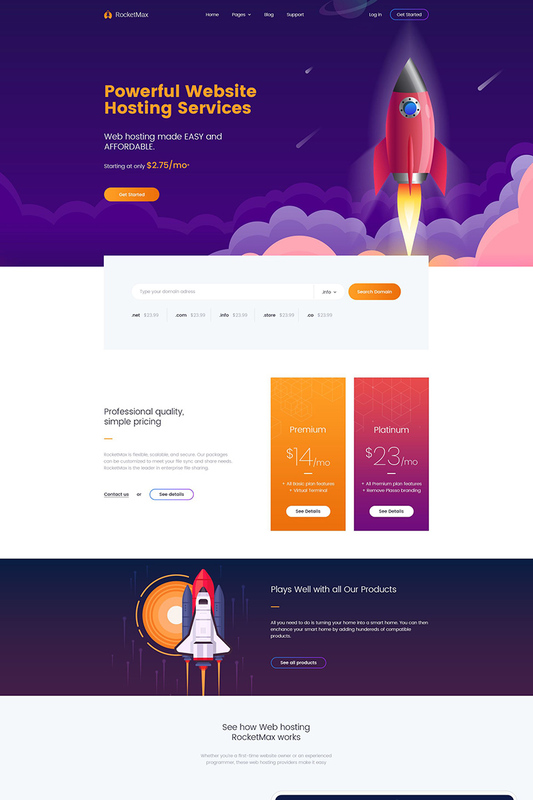 RocketMax is our new HTML template. We provide an amazing flat and professional experience, suitable for web hosting and other commercial specialist services. Organised pages including Hosting Features, Domain Search, Pricing, Services, Gallery, Contact, different types of the Header — just to name a few. It is a clean and lush template created for people with life passion in hosting business. Modern layout adapts to your needs and helps present your content in the most compelling way. You can customize it very easy to fit your business needs. Look only at this fresh clean design that is pleasing to the eye. Be trendy with our template.